'Maudie' directed by Aisling Walsh and starring Sally Hawkins, Ethan Hawke,Kari Matchett, Zachary Bennett, Gabrielle Rose and Greg Malone. 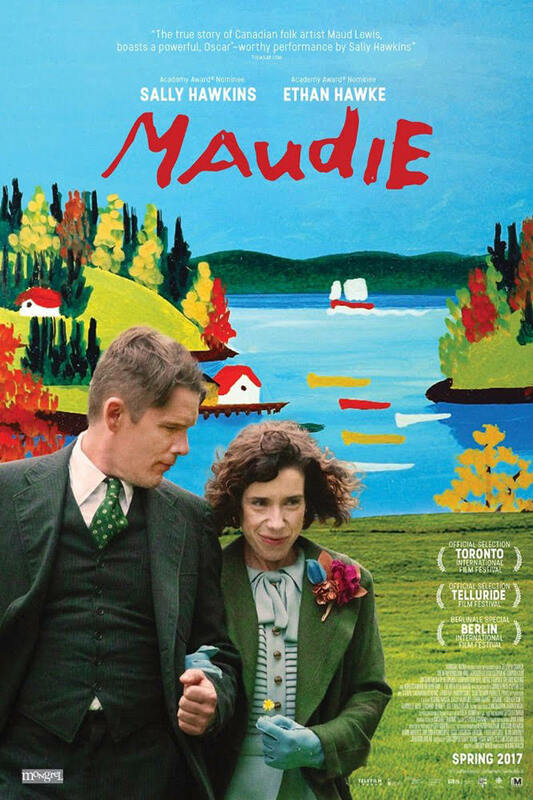 Based on a true story, is an unlikely romance in which the reclusive Everett Lewis (Ethan Hawke) hires a fragile yet determined woman named Maudie (Sally Hawkins) to be his housekeeper. Maudie, bright-eyed but hunched with crippled hands, yearns to be independent, to live away from her protective family and she also yearns, passionately, to create art. Unexpectedly, Everett finds himself falling in love. 'Maudie' charts Everett's efforts to protect himself from being hurt, Maudie's deep and abiding love for this difficult man and her surprising rise to fame as a folk painter. 'Maudie' opens in Ireland and the UK on August 4th.